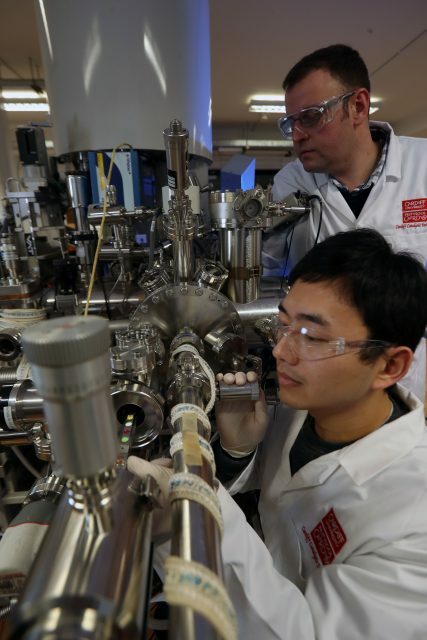 In July 2017, a joint bid from Cardiff University, University College London (UCL) and the University of Manchester was selected to provide the EPSRC mid-range facility for X-ray photoelectron spectroscopy to the UK. Provision of this service formally began in August 2017. As part of our remit, we offer access to state-of-the-art spectrometers for photoelectron spectroscopy in our main laboratory based at the Research Complex at Harwell (RCaH). If you want to know more about the service, then please do not hesitate to contact one of our staff or take a look at our application notes.